Worlds die. Although not like us. We have our little exit stage left scrawled once, somewhere in our life. A world dies more like a tree; creaking, snapping, falling, thudding, lying and then decaying, importantly decaying. Possibilities then spring up. In a dark little cavity bugs huddle around the warm glow of the Book of Kells. Across a wet expanse of timber a centipede carries a printing press on its back. A moth takes flight (it actually flies) while tiny green shoots start to awake. St Benedict of Nursia knew a thing or two about living in a dying world. He was born about 25 years after the Vandals sacked Rome and died only months after the Ostrogoths had their turn. He watched with his contemporaries as old certainties quite literally went up in flame. As existing institutions were hollowed out or winnowed completely, Benedict started a revolution. Not that his life tracks like a revolutionary. He was not ignited by his studies but abandoned them, nor was he drawn to the centres of power but lived on the periphery. His great work, The Rule of Benedict has more in common with an IKEA construction manual than The Communist Manifesto, plodding systematically forward the way it does. After three years of solitude he became an Abbot, a founder of monasteries and then, according to tradition, died standing up. Again, not textbook revolutionary stuff. Yet the man is honoured in the Catholic Church as an architect of a new civilisation. Which raises the question, with apologies to Aristotle, do 12 monasteries a new civilisation make? Well, only if you understand what Benedict was really doing. With each monastery he founded, he essentially planted a new, stable community into the dead tree of Imperial Rome. In an era characterised by rupture and division, between Byzantine and the West, Romans and Ostrogoths, the old order and the new political vacuum, Benedict was knitting disparate individuals into communities, making things whole. The Rule of Benedict was the glue. The IKEA jibe is not altogether unfair as The Rule of Benedict is self consciously a user's manual. It was designed, according to the writer Judith Knighton, 'to give his motley collection of serfs, scholars, shepherds, and wealthy scions of nobility a commonsense set of instructions for finding God in the ordinary circumstances of daily life'. Writing the instructions down not only ensured his wisdom was retained after his death; it provided a sound template that could be exported. This enabled communities characterised by service and hospitality to spread throughout Europe, which helped promote a new political and spiritual unity. The revolutionary text that made this possible opens with a simple injunction. It's the sixth century equivalent of 'Don't Panic', the advice written in large, friendly letters on the cover of the fictional The Hitchhiker's Guide to the Galaxy. Yet it goes deeper than that. It is more foundational. Not panicking is wise. Listening leads to the very source of wisdom. It's also something our world desperately needs to cultivate. Old certainties are dying again. Our economic system, like some giant Jenga set, has risen impossibly high under the premise of endless growth and is now wobbling on our finite planet. How do you tweak something like that without bringing it down on your head? How do you play Jenga with the world? Meanwhile the international order America helped forge after World War II, an elaborate system of trade and alliances that spanned the globe, is unravelling. We are slipping back into the more historically familiar multi-polar world. In times of flux, which can be soil for new growth, Benedict reminds us that the first step is to listen. Yet have we gotten better at listening in the 15 centuries since he died? Have we cultivated a culture that promotes and privileges listening? I'm not so sure. Go out into the thrum of a work day and have a look for any bubbles of silence where there is no glowing iPad, clicking blackberry or dull humming mp3 player where listening might grow. Turn on the television and watch our politicians at question time. Or better yet, don't turn off the television at all and see how you listen to those around you. While you're watching, switch over to ABC 1 on a Monday night for Q&A's self styled 'Adventures in democracy'. Evaluate the panellists and audience not on how well they speak but on how well they listen. While you do that you could send a tweet. Is there anything more democratic than participation? Yet as I watch those tweets march dutifully across the bottom of the screen, I'm reminded of a study that showed audiences retain less information from news bulletins when updates scroll beneath the screen. Are we inviting people in to speak while showing listeners the door? And are they the same people? The first service that one owes to others in the fellowship consists in listening to them ... those who cannot listen long and patiently will always be talking past others, and finally no longer even notice it ... The death of the spiritual life starts here. It's a chilling line. 'And finally no longer even notice it.' Perhaps whole societies can fall into this trap; so eager to be heard, understood and recognised that we don't even realise that we're all shouting at each other, on Facebook, via email, over the phone, across the shopping aisle, at the lights, in our cars. An interesting thought experiment is to reread the above passage and replace 'the spiritual life' with an institution or social group that you belong to. It could be something large like 'democracy', 'civil society', or 'the Church', or a smaller unit like 'our parish' or 'our branch'. I suspect that whatever you choose it won't do violence to Bonhoeffer's observation. No group can live long without listening. In a secular sense, listening allows us to first know our fellow citizens, which then opens up the possibility of collective action. It is intrinsic to both Christianity and democracy. This land has seen what a culture looks like when listening is privileged and cultivated. The concept of dadirri, so eloquently expounded by the Indigenous artist, educator and elder Miriam-Rose Ungunmerr-Baumann, has become increasingly well known. However it is worth revisiting in this context. It is inner, deep listening and quiet, still awareness. It is something like what you call 'contemplation'. When I experience dadirri, I am made whole again. I can sit on the riverbank or walk through the trees; even if someone close to me has passed away, I can find my peace in this silent awareness. There is no need of words. A big part of dadirri is listening. In our Aboriginal way, we learnt to listen from our earliest days. We could not live good and useful lives unless we listened. For Ungunmerr-Baumann, dadirri is 'the gift that Australia is thirsting for'. As I watch the political blood sport that is Australia's border protection policy, drive past cars that buzz like angry hornets on our roads and see my generation toggle endlessly, even compulsively between their iPods and iPhones, I think she's right. We're crying out for some inner deep listening and quiet, still awareness. It would be a cornerstone moment if this gift was received into the mainstream of Australian society. And then follow in the footsteps of Benedict. Evan Ellis is a community development worker in the Sutherland and St George area of NSW. He is completing a masters in international studies with a China major. He won the 2012 Margaret Dooley Award for Young Writers with the above essay. Like St Benedict of Nursia, Lutheran pastor Dietrich Bonhoeffer, and Indigenous elder Miriam-Rose Ungunmerr-Baumann, we live in challenging times. Benedict lived through the collapse of the Roman Empire. Bonhoeffer lived and died in Nazi-occupied Europe. And Miriam-Rose lives at a time when Indigenous peoples are struggling to preserve their traditional culture. We live in a time of great international uncertainty. Both the Global Financial Crisis and the ongoing European sovereign debt crisis have dislocated the international financial system. This economic crisis along with droughts, famines and wars impacts most harshly upon the poorest peoples of the world. And a developing environmental crisis reminds us that we cannot simply continue with business as usual. In this time of great challenge, this article counsels us with a simple message: Listen. It finds this message in the writings of Benedict, Bonhoeffer and Miriam-Rose. And throughout this article, this simple yet important message is repeated and repeated. Listen. Like us, the author of this article does not know all the answers to the problems that we face. But the author reminds us how we should begin to search for these answers. We must listen. As the article notes, we probably now have more content coming at us than at any other time in history. But all of this noise can distract us from the central task of really listening. As I read this article, I was reminded of Simon and Garfunkel's classic song about the Sounds of Silence — a song which spoke of people talking without speaking and hearing without listening. All the noise can make it hard to really listen. In a time of great crisis, this article calls us — invites us — to a deep, meditative listening. I hope and pray that we answer the call. This eloquent invitation to listen truly merits First Prize in the 2012 Margaret Dooley Award for Young Writers. Recent articles by Evan Ellis. Wow! God bless you Eureka Street. Our grandparents used to say: " never forget that God gave you 2 ears and one mouth." Well done to Evan - a deserved winner. Listening is much more difficult than talking. A few weeks ago an elderly neighbour of mine died suddenly. He'd lived near me for a number of years, I'd said hello quickly as I rushed off to work, as I took my four children to sport & music, as I went off to church. At his funeral I discovered he loved poetry (as I do) and I never knew. When I read from Dadirri- A Reflection by Miriam - Rose Ungunmerr - Baumann: There is much pain and struggle as we wait.The Holy Father understood this patient struggle when he said to us:"If you stay closely united, you are like a tree, standing in the middle of a bush fire sweeping through the timber. The leaves are scorched and the tough bark is scarred and burnt; but inside the tree the sap is still flowing, and under the ground the roots are still strong. Like that tree, you have endured the flames, and you still have the power to be reborn".I was reminded of the verse: I am a rose of Sharon, a lily of the valleys. R. Berekhiah said this verse ( I am a rose of Sharon, a lily of the valleys ) was said by the wilderness. Said the wilderness, I am the wilderness, and I am beloved. For all the good things that are in the world are hidden in me: I will plant in the wilderness a cedar, an acacia tree ( Isa 41:19 ) The Holy One, blessed be he, has put them in me so that they may be guarded in me. And when the Holy One, blessed be he seeks them from me, I shall return to him unimpaired the bailment that he has left with me. Well done Evan - love the connections you have made. Listening is a practice and process beholden to my heart and what joy it is to practise. Thank you, Evan, for bringing together the teachings of three great listeners - truly light for our troubled times. Also, in stillness (or being in the present moment) which is necessary for true listening we are our true selves, and in the present moment we have a level of knowing deeper than thought and other worldly ways of knowing that brings healing and peace on earth. Thanks for the joy of reading this wise and encouraging essay. Listen. To the wisdom of Evan, Miriam, Deitrich and Benedict. As a Christian meditator, in the tradition of John Main OSB, and as a pilgrim who has just completed the Camino Salvado in WA; as someone who has met and spoken with Miriam-Rose and who loves Bonhoeffer, it was so easy to listen to Evan's words. 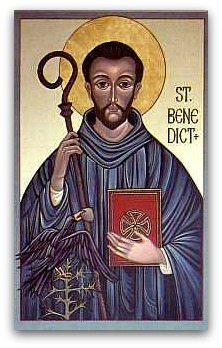 To listen with the ears of the heart, as Benedict says, takes time, patience, discipline and, above all, love. The fruit of deep listening is inner peace. Thank you, Evan Ellis. Wow! Thank you Evan, for this wonderful essay, reminding us of our quest for 'answers' and the knowledge that they are always there .. if we listen more. I have had the privilege of meeting Miriam-Rose. I took my son from Melbourne to see her land, and was so fortunate to meet her, under a tree in a gathering of women and children. Miriam made us feel so welcome, she is so humble. Dadirri is an important knowledge for boys in transition from children to adulthood and indeed all of us. In troubled times we need our ancient wisdom which speaks about the essential in the experience of human life. Congratulations!! Maria, thanks for info about Camino Salvado. Sounds beautiful. Evan's article is wonderful. A fine essay and fit for our times. And part of the march towards an integral human development. Yet, we need to be mindful of the tendency in our bourgeois culture (secular and religious) to reduce the revelations of Scripture and those in the teachings of Jesus as the Risen Lord, to a therapeutic exercise. Listening, in the Christian sense, is exercised in the light of the Risen Lord. Where it goes beyond being a self managed spiritual exercise there is the arrival at an awareness of the shadow of the Cross in one's discernment. The "resting in the Lord" can be quite demanding. So be careful what you are listening for. BTW: As a usual exercise I do a 'Find" of articles in Christian sites for "Jesus" or "Christ".. It is amazing how many contain no such references. As a teacher for over 40 years in schools, TAFE and university I have long promoted the importance of "listening" and congratulate you on your essay and prize. As your uncle for over 30 years, I add an extra tick for your dedication and humility.